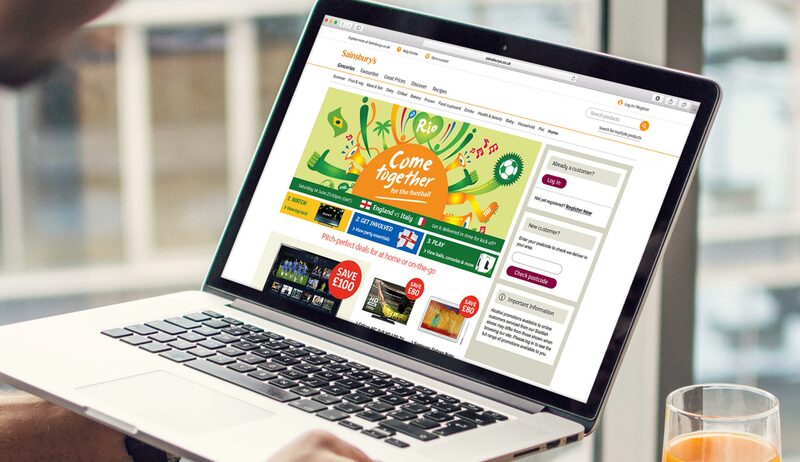 In the run up to and during international events such as the Rio World Cup supermarkets like Sainsbury’s can really benefit by using them as a marketing tool to generate sales, cross & up-sell’s and increase footfall to their shops and website. With this is in mind we created user journeys and product lists to define a brief for the content. Working with the rest of the content team, a copywriter, traders, merchandisers and various stake holders as designer on the project the solution was to create an event hub that acted as a one-stop shop for customers whether they wanted to watch, get involved/celebrate or play during the football. 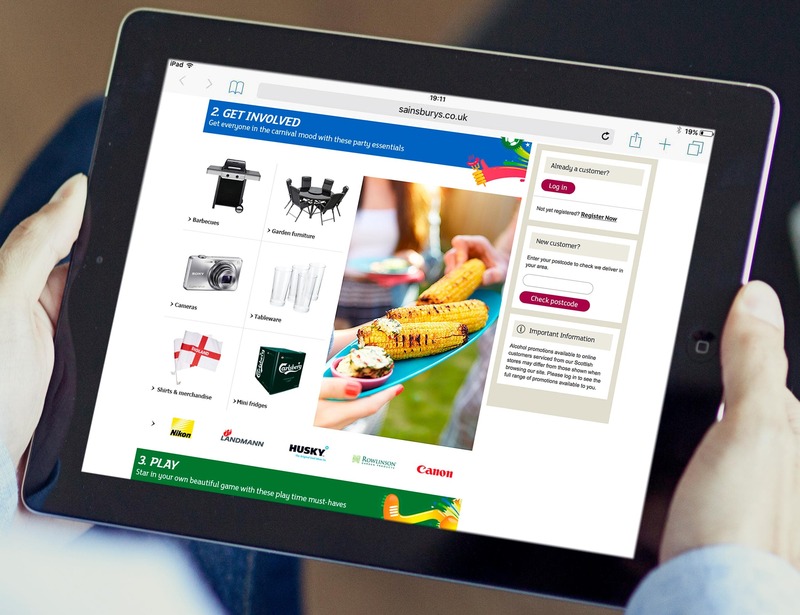 Using content across high traffic areas of the site customers were funnelled to product ranges across the key electrical, technology, core home and outdoor & seasonal categories. Range pages along with content on product pages were created to distil the offering into relevant ‘top picks’ sections to drive the cross & up-sell strategy more confidently. 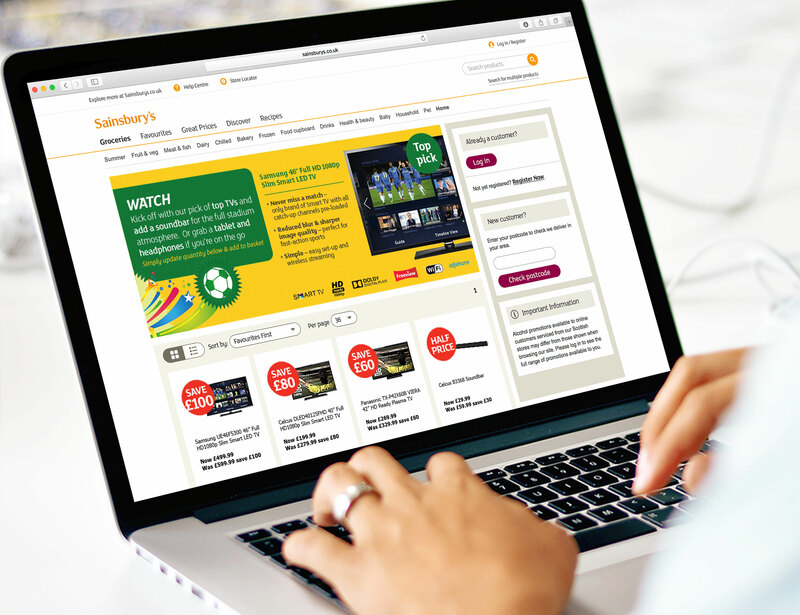 The pages offered customers with an option to discover the best promotions and full entertainment solutions recommended to help them enjoy the football. The in-store World Cup point of sale assets and brand guidelines were used to ensure the look and feel was consistent with what customers would experience in stores, and also aligned with other comms channels. The overall outcome gave vastly improved click through and conversion rates in the key category areas the trading teams were keen to push.